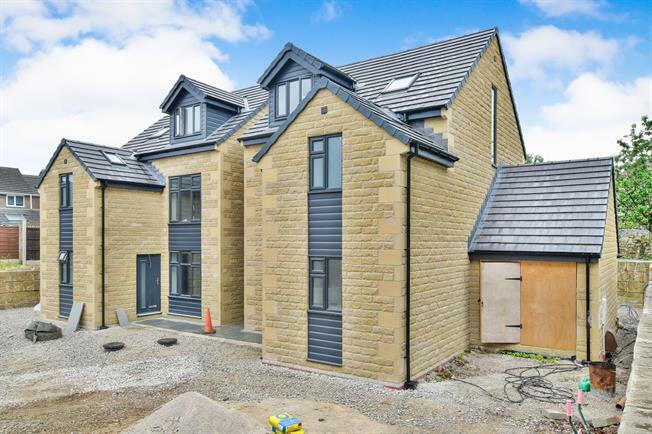 4 Bedroom Detached House For Sale in Buxton for £365,000. One of just two remaining bespoke new-build homes set in a gated complex in an established and popular residential area. The accommodation briefly comprises an entrance hall, cloakroom/wc, a large open plan living/dining/kitchen, a separate entrance lobby and a utility room to the ground floor, whilst to the first floor there is a double bedroom and bathroom with four piece suite to the front, a double bedroom with juliette balcony and a large single bedroom with access to an adjoining play room to the rear, whilst to the second floor there is a substantial master bedroom with en-suite. Other features include state of the art solar heating and electricity, ample off road parking and enclosed gardens. Viewing is highly recommended with construction now at an advanced stage.